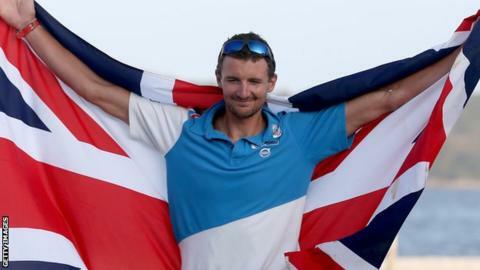 British sailor Giles Scott won in the Finn class at the Olympic test event in Rio as 470 pair Hannah Mills and Saskia Clark took silver. Scott, 28, continued his two-year winning streak by pipping Pieter-Jan Postma on the final day of racing at the Aquece Rio International Regatta. Scott finished fourth in the final race to take his second consecutive test event victory at the 2016 venue. Mills and Clark led into the medal race but finished second after a penalty. The 470 pair - who won silver at the London Games - were forced to take penalty turns after infringing another boat at the start and could only finish 10th.